Good point Teddy Roosevelt. And as a self-publishing author you are most certainly doing something, so it’s inevitable that there’ll be a few slip-ups along the way. But there’s no need to make mistakes that others – bless their cotton socks – have already made for you. Let’s take a look at 6 of the most common self-publishing blunders, and how you can avoid them. The purpose of a title is to make the book as tempting as possible, right? You want to catch a potential reader’s eye, and make them say ‘WOW, I didn’t know I needed this in my life until right now.’ It stands to reason, then, that you need to create the coolest freakin’ title ever to have graced God’s green earth. And that thought process may have held water a few decades ago. But now there’s a little thing called the internet, baby. With almost every self-published author trading in eBooks, you don’t need a title that sounds cool, you need a title that people will be searching for. Solution: It’s time to do some due diligence. Look at the titles of the most popular books in your genre, and use them as inspiration. Fiction allows for more title creativity, while non-fiction authors are advised to stick to a purer description of the book’s content. 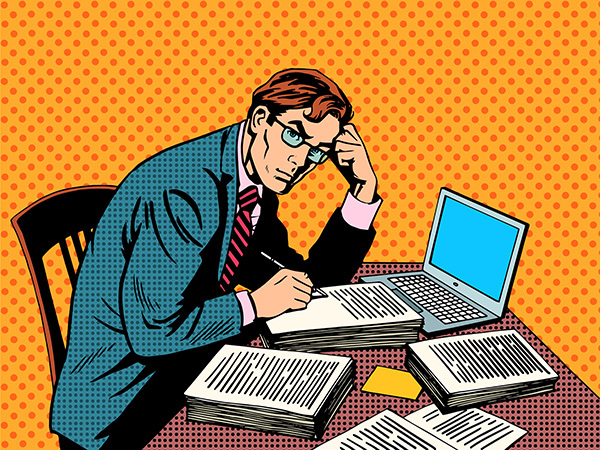 Self-published authors often fall into analysis paralysis. Every review of your manuscript results in another round of changes in the endless pursuit of perfection. Before you know it you’ve completed 100 revisions that somehow make you feel no closer to publishing than when you complete your first. Solution: Repeat after me: There’s no such thing as perfect. A handful of revisions is fine, but when you get into double figures you should really start to analyse whether each round is actually adding anything to the book. You’ve paid for the full version of PhotoShop – why pay a professional designer hundreds or thousands of dollars to create a cover when you can whip one up yourself? As we’ve outlined again and again, a modern day book cover is so much more than the simple dust jackets of old. It’s your book’s first impression to a potential reader and will decide the success of your book more than any other factor, because people judge books by their covers. Solution: Hire a professional. It’s an investment that can pay incredible dividends. You need to have a level of self-confidence to self-publish; it takes courage to put your work out there for anyone to see. But you don’t want this self-confidence to stretch further than it should. Sure you might be a good writer, but even Shakespeare had an editor. Professional editing and formatting may be costs that you find hard to justify, but one grammatical error is all that it takes for a new reader to write off your entire body of work as amateur. And with eBooks now being read on all manner of devices, the importance of good formatting has never been greater. Solution: See solution to mistake #3. If you boast a killer title, an epic cover and a compelling narrative that’s been perfectly edited and formatted, then the problem may not be with the product, but with what you’re charging. Writers have to earn their stripes (and unfortunately, like many creatives, sometimes those stripes are earnt long after an author’s toes have turned up). While you’ll be understandably keen to maximise your income while you’re alive enough to spend it, you can’t, as a newbie author, expect people to pay an inordinate amount to enjoy the work of someone they’ve never heard of. Solution: Compare what you’re charging against what your competitors are, keeping in mind celebrities and established authors will be able to charge more. Most first time authors on Amazon will price their books between $0.99 and $3.99. You’ve seen it a million times before. A young singer – let’s call her Shelley Barkson – with a heartbreaking backstory wins a talent show, and her first single is marketed primarily with one word: debut. If it’s good enough for Ms Barkson, then surely it’s good enough for you. What Shelley has that you don’t is a reputation. Sure, it may not be entirely deserved, but she is nonetheless a recognised figure whose persona alone will generate sales. You, the first-time, self-published author, are presumably yet to enjoy extensive national media coverage. By describing yourself as a debut author, you’re telling readers that you’re inexperienced, untested, and not worth the risk. You might as well replace debut with don’t bother. Solution: What are you? As someone who has written a book, you are an author. Not ‘debut’. Not ‘first-time’. Not even ‘up and coming’. You are, plainly and simply, an author. And that’s all your readers need to know.